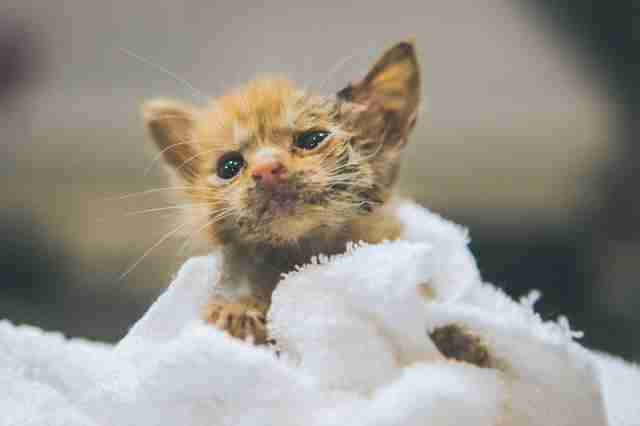 He doesn't know it yet, but this tiny rescue kitten is at the start of a long, happy life. 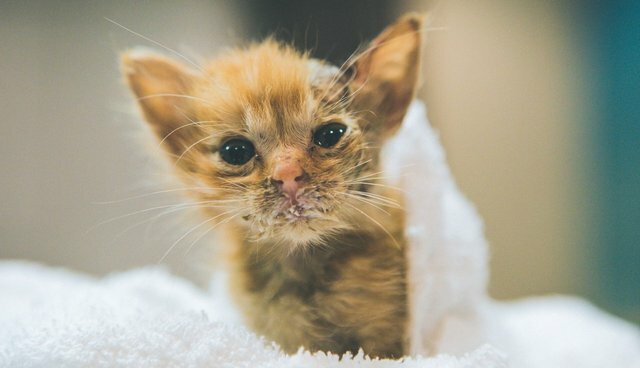 Redditor RazerMackham uploaded these photos of 1-week-old Biscuit, who had been abandoned with his brother on the steps of a shelter. 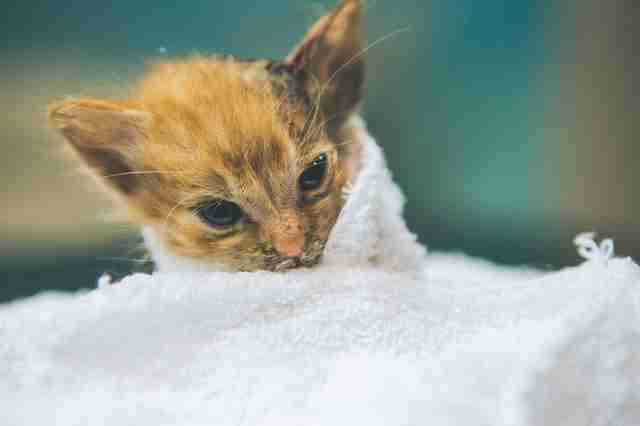 Biscuit was in rough shape, so he was taken to the vet clinic where RazerMackham's girlfriend works. "I got a text from my s/o Tuesday morning with a picture of the little guy and a 'can we?' Since then we've been ... giving him lots of love (and taking pictures)." 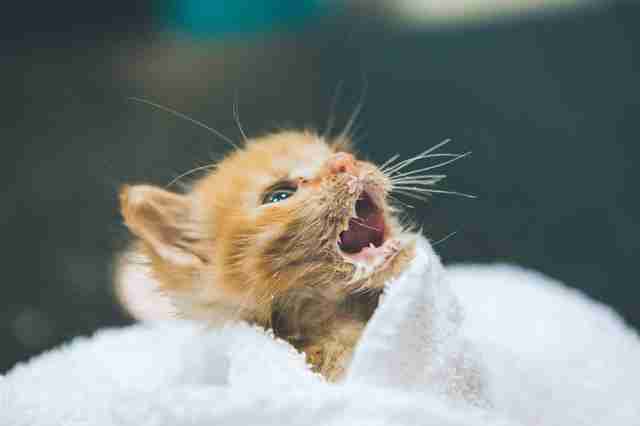 Biscuit is a little fighter. This week he had to have a botfly removed from his tiny face. Luckily his human family is making sure he gets all the medical care he needs. "Our 2 adult cats don't seem to mind the recent surplus of freedom with all the attention the kitten requires." 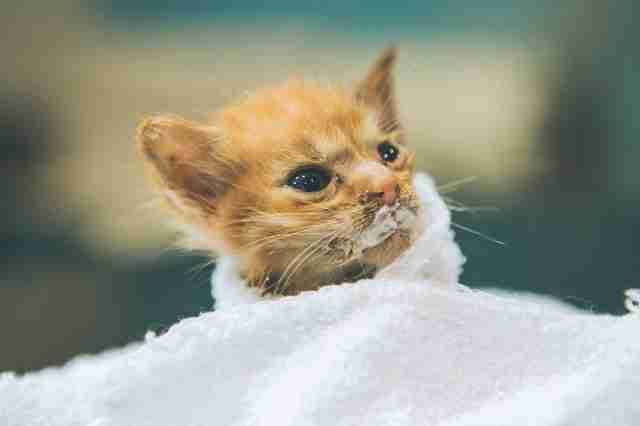 Kittens like Biscuit, who are separated from their mom at such young ages, need A LOT of care to help them grow and stay healthy, including being bottle-fed every few hours. 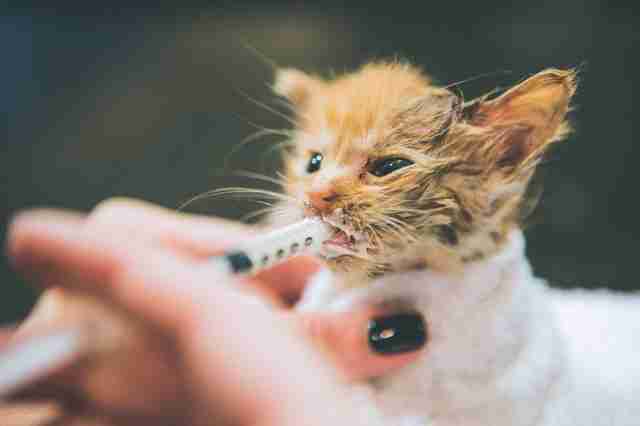 But they look so adorable with kitten formula all over their faces! It's clear that Biscuit's new family is already smitten with him. Way to go, little guy!